The Maple & Mum Mobile Flower Shop! It’s a popular sight around the streets of their Connecticut community. 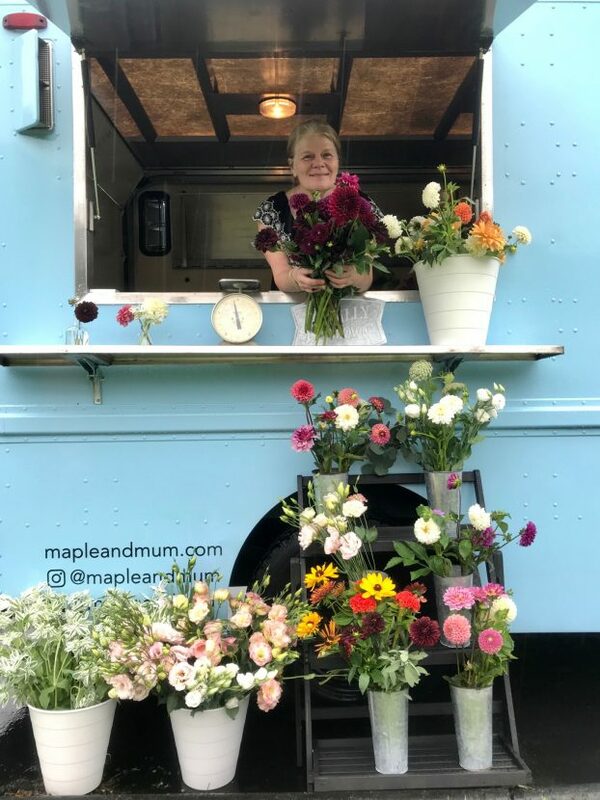 Maple and Mum’s upscaled flower truck with Nancy Hilton peeking out of the truck’s “shop” window. 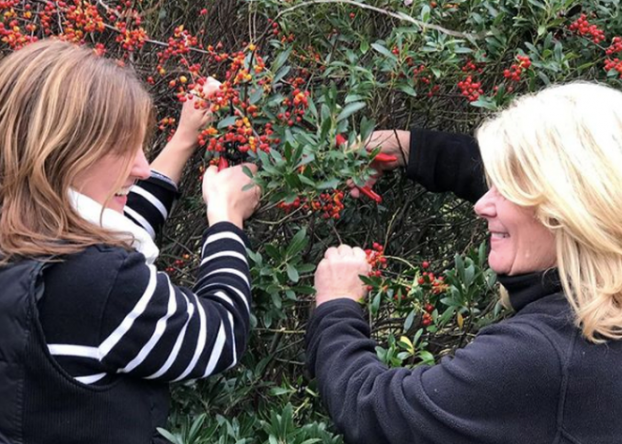 Last October I co-hosted a Connecticut area Slow Flowers Meet-Up at Trout Lily Farm in Guilford, outside New Haven. And the following month, I spoke at the New England Farmer-Florist Connection’s Meet-Up in Providence, Rhode Island. Both times, I met and enjoyed my conversations with today’s guests — and I love that they agreed to share their story with listeners of the Slow Flowers Podcast today! Please meet Nancy Hilton and Kate Brunson, a super-creative, mother-daughter duo who have combined their love of natural beauty, design and celebrations to create a family business that serves wedding and event clients in Connecticut and beyond. I loved reading Maple & Mum’s origin story on the studio’s web site — and have to share it here with you. The idea was born on a cold winter afternoon as Kate was preparing to return to her 9-to-5 office job after the birth of her daughter in 2012. Searching for a more meaningful, creative career that supported more time with her growing family, she asked her mom for advice. 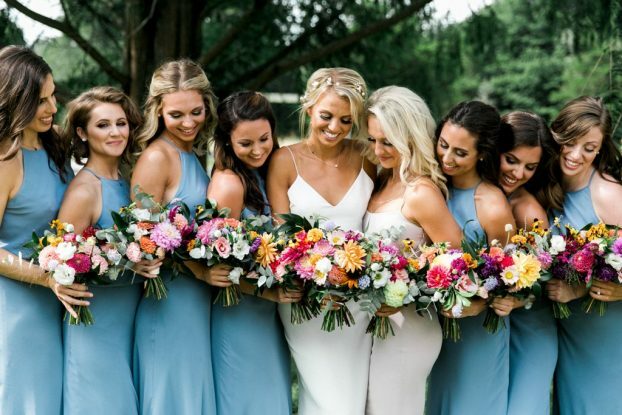 Nancy recalled her years working in their small-town flower shop while her girls were in grade-school, telling Kate it was the best job she ever had because the hours flew by while she worked with her hands creating art through flowers. 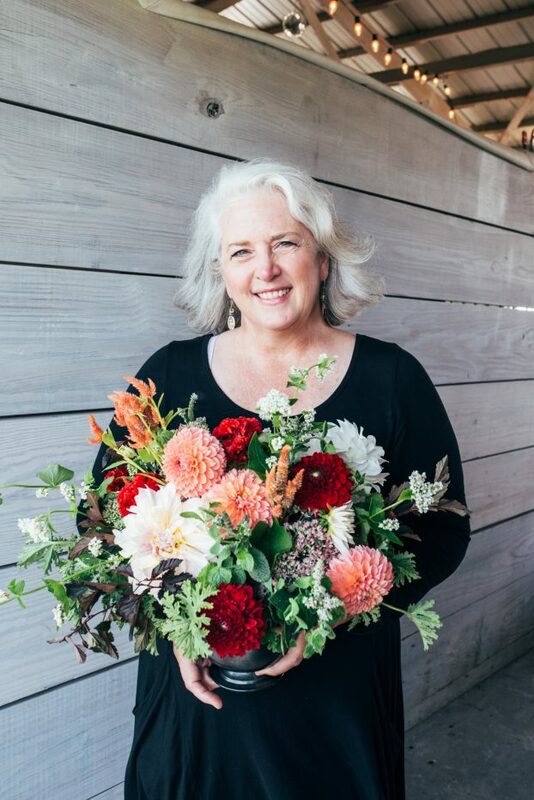 That spark led to research, floral design courses and finally — right here — to my Slow Flowers Podcast, where weekly stories of farmers and florists growing and designing with local flowers convinced the women to take the leap and open their own floral design business in May 2015. Their name stems from the roots they’ve planted in New England and the maple tree they’ve had in every place they’ve called home. One seedling from Nancy’s childhood home has moved with them as life has taken them from place to place. And the mum, an homage to their favorite season and motherhood. Inspired by the changing seasons, Maple & Mum proudly partners with local growers to create lush, organic designs. 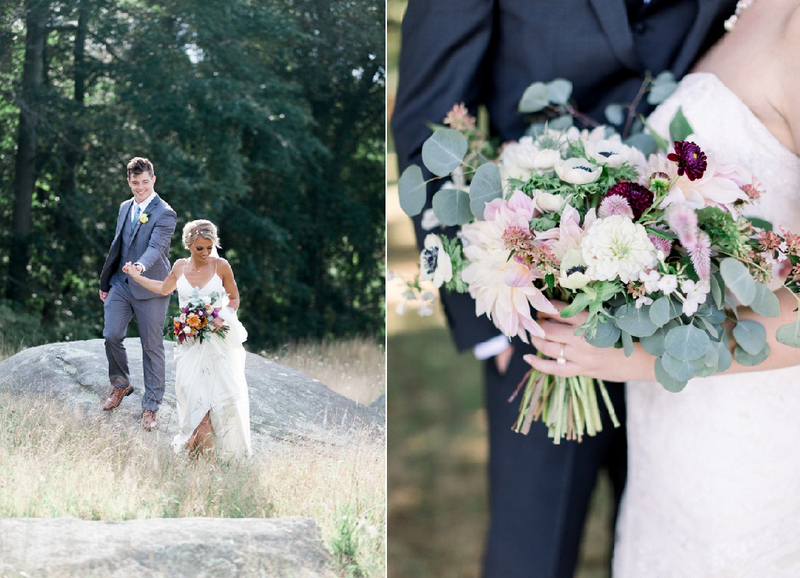 Bouquets from a Barberry Hill Farm Wedding from this past August. What I found so encouraging about the Maple & Mum story is how Nancy and Kate are growing their design business to support their lifestyles. Surprisingly, but perhaps not so surprisingly because talented women are capable of accomplishing so much when they set their minds to a challenge, both Nancy and Kate work in full-time jobs. 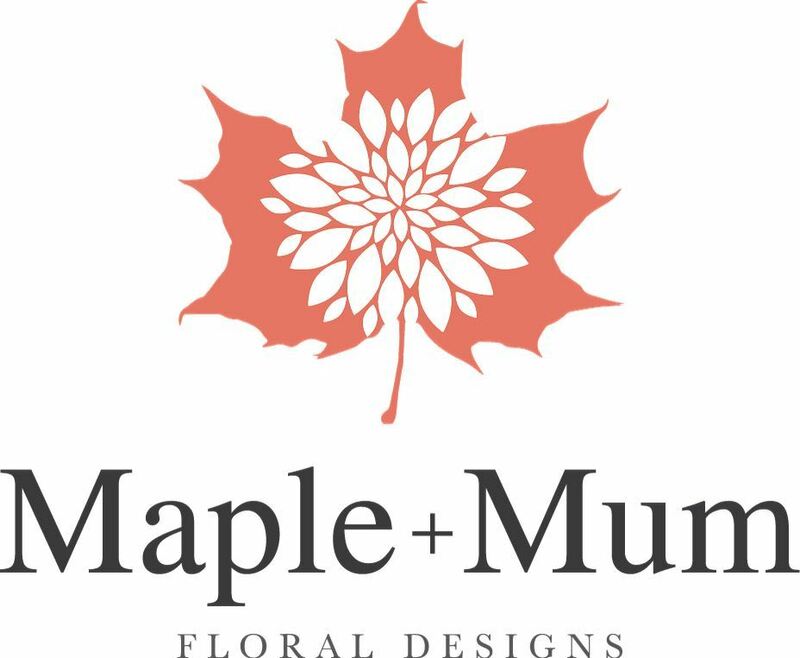 That Maple & Mum designed florals for 17 ceremonies in 2018 is mind-blowing — congratulations, ladies! 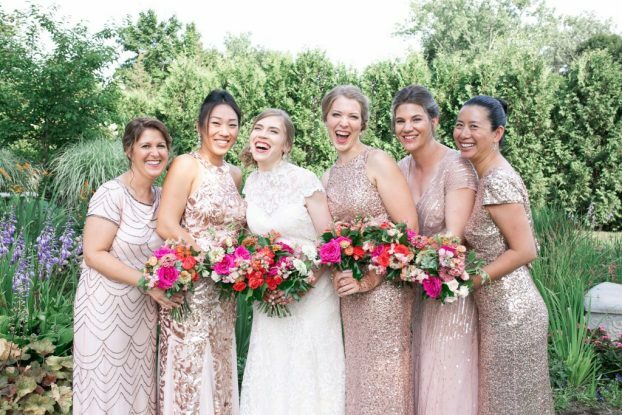 Hear how they juggle everything, rely on one another and the rest of their family for support, and what their long-term plans are for leaving the 9-to-5 routine for full-time floral design. 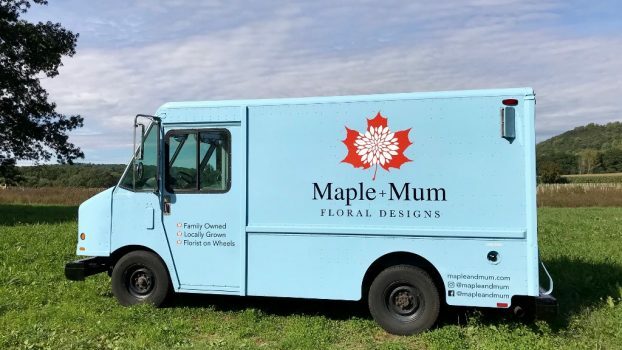 You’ll also be inspired by Maple & Mum’s commitment to sourcing local and seasonal flowers from Connecticut farms, and when that’s not possible, how they turn to domestic sourcing. Thanks so much for joining me today! 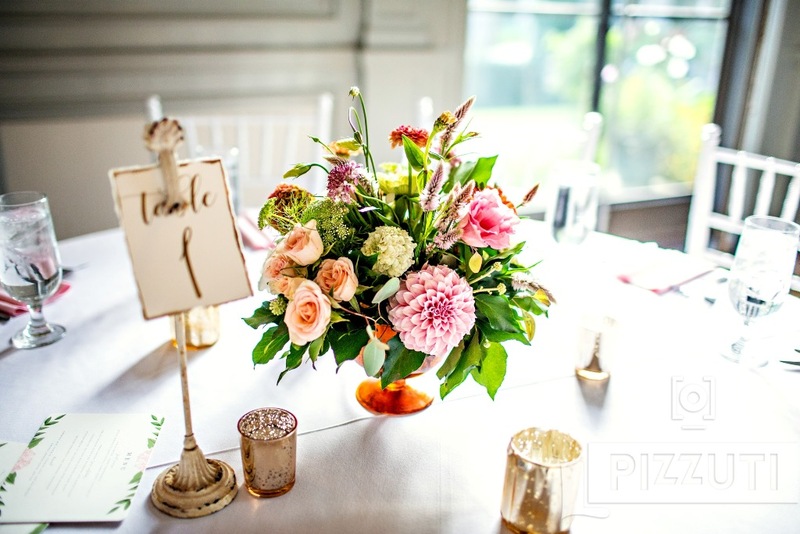 I love that Kate and Nancy want to be “The Slow Flowers Choice” in their marketplace. I’m super thankful to them for representing the business philosophy that I value so deeply. American Thanksgiving is tomorrow and I want to wish you a warm and beautiful time celebrating the abundance of nature and community, around the table or wherever you find yourself. It’s also a time for me to acknowledge my profound sense of gratitude for each of you, members and supporters of Slow Flowers, as well as flower-lovers around the world who join us each week. Thank you for being part of the Slow Flowers Community as we build a progressive floral marketplace that supports domestic floral agriculture in our own backyards. The Slow Flowers Podcast has been downloaded more than 382,000 times by listeners like you. Thank you for listening, commenting and sharing – it means so much. Thank you all! This entry was posted on Wednesday, November 21st, 2018 at 8:20 am	and is filed under American Grown, Blog Posts, Creativity, floral design, General, Podcast Episodes, SLOW FLOWERS Podcast, Slowflowers.com the Directory of American Flowers. You can follow any responses to this entry through the RSS 2.0 feed. You can leave a response, or trackback from your own site.